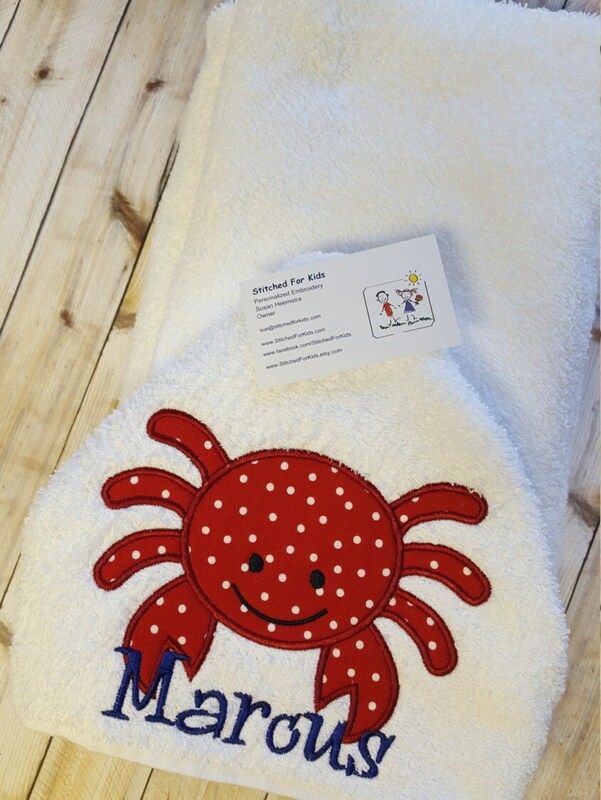 Full size hooded bath towel, with personalized crab on the hood. 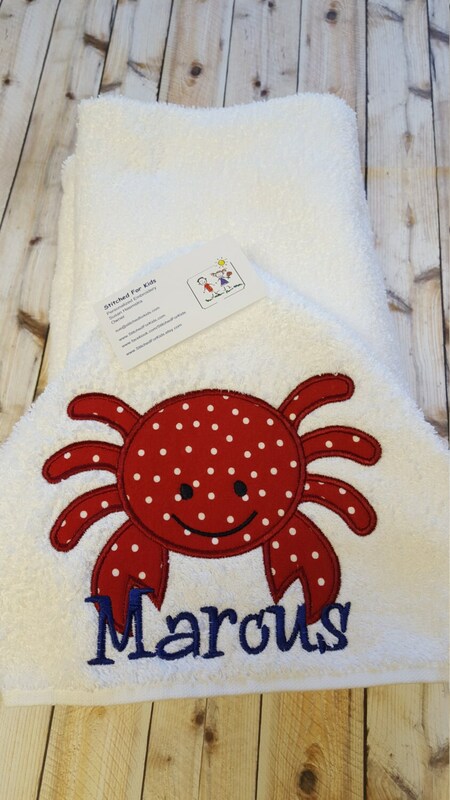 This personalized hooded towel features an applique crab using red with white dots fabric. The child's name is embroidered across the bottom of the crab hooded towel. Hooded Towels are approximately 30" x 54". 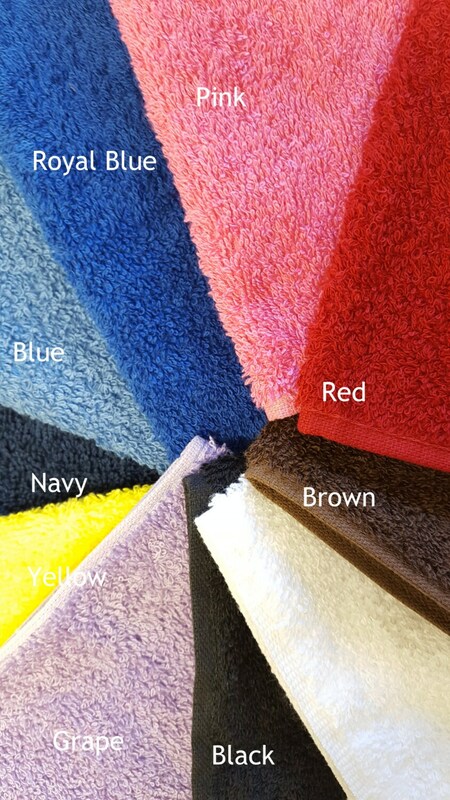 Select the color of your Personalized crab hooded towel. Fantastic for birthday gifts and baby showers! Bath time, the beach or the pool .. Any water occasion! Select the color of your hooded towel from the drop down box. Refunds/Return: Refunds and/or returns are only accepted if we stitch the wrong name/design or misspell a name. All items are photographed and inspected prior to shipping. Please use a VALID email address that you check often, just in case we have a question.